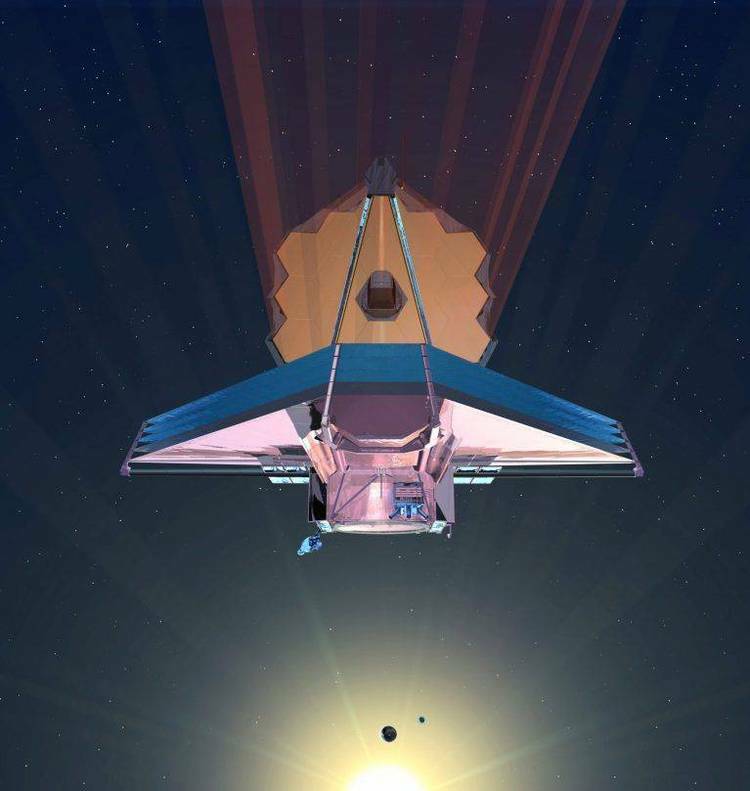 More than you wanted to know about Space Telescope launch on April 12 – from NASA press release. will be deployment in Earth orbit of the Hubble Space Telescope (HST). times greater than images from Earth-based telescopes. observe celestial sources such as quasars, galaxies and gaseous nebulae. extravehicular activity (EVA) if necessary. Commander of the mission is Loren J. Shriver, Air Force Colonel. pilot of Columbia's seventh flight in January 1986. Mission specialists are Steven A. Hawley, Bruce McCandless II and Dr.
Kathryn D. Sullivan. Hawley will operate and release HST from the RMS arm. Liftoff of the tenth flight of Discovery is scheduled for 9:21 a.m.
polarization, audio monaural 6.8 MHz. TV schedules also may be obtained by calling COMSTOR, 713/483-5817. 202/755-1788. This service is updated daily at noon EDT. calling 202/755-1788 between 8 a.m. and noon EDT. Launch Site: Kennedy Space Center, Fla.
Abort Once Around - Edwards AFB, Calif. Shuttle Landing Facility (SLF) at Kennedy Space Center (KSC), Fla.
Spain; or Banjul, The Gambia. and thrust back toward KSC until within gliding distance of the SLF. payload bay within 40 minutes after landing. the No. 2 position and 2107 in the No. 3 position. be used to deploy the Hubble Space Telescope. was rolled out to Launch Pad 39B on March 15.
at Goddard Space Flight Center, Greenbelt, Md. The launch countdown is scheduled to begin 3 days prior to launch. liquid oxygen and liquid hydrogen propellants. approximately 5 days after landing. below the body of the telescope. specifically designed for on-orbit servicing. module, the optical telescope assembly, and the scientific instruments. assembly and the scientific instruments to do their job. multi-layer insulation, part of the telescope's thermal control system. attached to many telescope components to warm them during the "eclipse"
phase of orbit, when in the Earth's shadow. Space Agency's solar arrays. These two "wings" contain 48,000 solar cells. batteries to support the telescope during eclipse. called baffles surround the path of light to block out unwanted rays. from one another by an extremely strong but lightweight truss structure. resistance to expansion and contraction in temperature extremes. on only 110 to 150 watts of power. ultraviolet to near infrared) than any of the other science instruments. field of view of around 5 degrees. This camera's is only 2.67 arc minutes. part of the European Space Agency's contribution to the HST program. scientists know that element is present in the object being viewed. temperature, pressure and density of the objects they are viewing. only science instrument entirely devoted to studies of ultraviolet light. astronomers with an accurate map of the magnitude of stars. Space Flight Center, Greenbelt, Md. telescope and ground control systems. astronauts to switch on the main power from Discovery's aft flight deck. on, the telescope will be under direct control of the STOCC at Goddard. Next, the OV team will begin a process called "thermal safing." portion of their orbit when the Earth is between the craft and the sun. of the telescope from the cargo bay on the second day of the mission. pointed away from the sun. System (TDRSS) antennas on the HST will be deployed. respond correctly to ground commands. precision-ground mirrors for the first time. until the images in the telescope's field of view become precise and sharp. of the focal plane metering truss as desorption of water vapor occurs. fully activated and ready for use. instrumentUs portion of the telescopeUs focal-plane field-of-view. .
they will be able to continue data acquisition in the SAA. down to the proper operating temperature for science observations. for the purpose of aligning its apertures. its first external target observations of a star to align its aperture. recognize two closely spaced images. external target observations of a star to align its apertures. individual instrument alignments and finally the overall system alignment. of the GHRS will be verified. effort will be carried out through the Space Telescope Science Institute. telescope be ready to begin its full-scale investigations. Homewood campus of the Johns Hopkins University, Baltimore, Md. %And ultimately the astronomers and scientists who use the data. orbit that HST is in view of one of the TDRSS satellites. TDRSS will also provide SSA forward and return services each orbit. to the Goddard Data Capture Facility where it receives initial processing. The data is then forwarded to the Space Telescope Science Institute. for detailed processing and subsequent analysis. centers using leased domestic communications satellites. movement of the HST for coverage of the various scientific targets. available in any given 52-week observing cycle. observation and the available time. actual binary code which will be uplinked to the spacecraft. yet undertaken in the realm of science operations. Proposals first go the the Science Institute for review and selection. science observation schedule is developed and sent to Goddard. through the TDRS system to the Hubble Space Telescope. development of the command sequences and for inertial reference. attack on some of astronomy and cosmologyUs toughest questions. at all. Why is matter seemingly smoothly distributed through the universe? the expansion and perhaps ultimately causing a recollapse. to arrive at an accurate measurement of the Hubble Constant. help constrain the Hubble Constant. measuring devices for studies of deceleration. scaled up to compute the mass of the universe as a whole. %How soon after the Big Bang did galaxies form? %What are the dynamics of galaxies in clusters? %Do galaxies harbor massive black holes? %What is the dark matter in a galaxy and how is it distributed? %How important are galactic collisions in galaxy formation? %What is the nature of starburst phenomena? %What is the engine which powers quasars? %What fuels the quasar engine? %Are there new physics to be found powering the QSO engine? %Do quasars represent a normal stage in galactic evolution? re-ignite after having ejected much of their mass late in their life. perhaps deduce what conditions are right for planetary system formation. %What is the precise sequence of steps in star formation? %What determines the rate of star formation? %How common are jets and disk structures in other stars? %What is the mechanism that triggers nova-like outbursts in double stars? %What are the progenitor stars to supernovas? %Do circumstellar disks show evidence of planet building? %Do planets exist about other stars? %How abundant are other solar systems? %How do the surface patterns of Pluto change over time? would have over those based in observatories on the ground. instrument of the Mount Wilson Observatory. as a logical extension of the U.S. space program. This recommendation was repeated by another study group in 1965.
less productive than their existing time in ground-based observatories. establish not just another spacecraft but a permanent orbiting observatory. In 1975 the European Space Agency became involved with the project. appropriated funds for the development of the Space Telescope. development of the scientific instruments and the ground control center. over Itek and Kodak to develop the optical system and guidance sensors. to assemble and integrate the finished product. Institute, on the grounds of the Johns Hopkins University, Baltimore, Md. maintain a constant watch over the health and safety of the satellite. administrative direction of the Goddard center. Lockheed Sunnyvale facility was completed in 1985.
to the Kennedy Space Center, Florida in October 1989.
bringing the telescope back to Earth. atmospheric drag has caused it to descend. the telescope again can resume its exploration tasks. development, assembly, pre-launch checkout and orbital verification. during deployment and maintenance missions. Shuttle launch support, assuring safe delivery of the telescope to orbit. allocated 15 percent of telescope observing time. Investigator for the Goddard High Resolution Spectrograph. Operations Support Center during orbital verification. they receive, they can identify problems if they arise. Telescope Operations Control Center at Goddard. determine its true capabilities and project its future performance. support team will be provided by personnel in the engineering console room. velocity, time, position, current and voltage. a message will flash on all the terminals, regardless of discipline. attention may be first detected at any of these locations. Goddard and the technical support team. Optical Systems (formerly Perkin-Elmer) and the European Space Agency. and Fine Guidance Sensors Danbury, Conn.
Mirror Metering Truss Boeing Airplane Co.
Support Systems Module Lockheed Missiles & Space Co.
(spacecraft) and integration Sunnyvale, Calif.
and Data Handling Computer Germantown, Md. Faint Object Spectrograph Martin Marietta Corp.
Space Telescope Operations Lockheed Missile & Space Co.
Ford Aerospace & Comm. Co.
Science Operations Ground TRW, Inc.
Computer system software Computer Sciences Corp.
Torquer & Sensing System, Greenbelt, Md. large enough to yield precise structural information. crowded around the "seats" as they attempt to order themselves. spot, fewer mistakes are made, creating more uniform crystals. diffusion techniques and sample handling apparatus. for using longer flights to process certain proteins. control samples grown in gravity. serious crop diseases such as rice blast. many human disease states including rheumatoid arthritis and septic shock. development of drugs to treat these conditions. body's immune system and is used clinically in the treatment of cancer. blood cells and also is a necessary component in media for cell growth. causes of this debilitating disease. the development of an anti-parasite drug. picture of an antibody binding site which recognizes a bacterial "foreign"
better understand how antibodies function in the immune system. molecules are made and metabolized. to a solution absorbed in a porous reservoir that lines each chamber. samples will be processed at 22 degrees C, as on STS-26 and STS-29. the investigating team for analysis. is PCG experiment manager for Marshall. investigator for the PCG research team. Marseille, France; and Eastman Kodak Co.
purification and dialysis of kidneys and blood. and can then be used for the applications described above. polymer membrane casting in a convection-free environment. and 4 in. in diameter, with the smaller cylinder measuring 4.5 by 2 in. secured to preclude accidental opening during ground processing activities. ambient pressure (-14.7 psia) and attached to the other side of the valve. detachment during the immediate prelaunch period and during ascent. door contains six sample coupons. realtime data display and a keyboard for controlling its functions. achieved and will be programmed to operate throughout the entire mission. modules will be analyzed at the completion of the mission. "Investigation of Arc and Ion Behavior in Microgravity"
This SSIP experiment, selected in 1982, was proposed by Gregory S.
ion path is electrically more conductive than the surrounding air. force the arc to rise, known as the "Jacob's ladder" effect. than any of the other forces. results could have possible applications to materials processing in space. science advice of Val King, Space Dynamics Laboratories. those missions form the basis for the IMAX production, The Dream is Alive. be making his second Shuttle flight. days in orbit aboard Challenger. degree in aeronautical engineering from Purdue University in 1968.
academic instructor pilot at Vance Air Force Base, Okla., from 1969-1973.
pilot with the F-15 Joint Test Force at Edwards Air Force Base, Calif.
different types of single- and multi-engine aircraft. Bolden was Pilot for STS-61C, a 6-day flight of Columbia launched Jan.
will be making his second Shuttle flight. Beach, Calif., and received a bachelor of science degree from the U.S.
business administration from the University of Houston-Clear Lake in 1987.
flying time, 5,000 of them in jet aircraft. and will be making his third Shuttle flight. fellow STS-31 crew member Bolden served as pilot. deputy chief of the Astronaut Office. Kathryn D. Sullivan, 39, will serve as Mission Specialist-3 (MS-3). be her hometown and will be making her second Shuttle flight. the feasibility of refueling satellites in orbit, making her the first U.S.
woman to walk in space. plane participating in several remote sensing projects in Alaska in 1978.